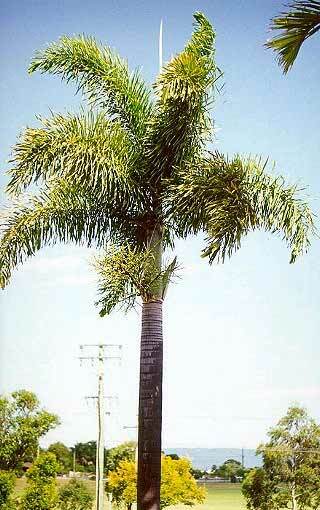 Wodyetia bifurcata, commonly known as the Foxtail Palm, was named in honour of Wodyeti, an Aboriginal bushman. The reason why this true Australian native lay undiscovered until so late in the 20th century is that it occurs naturally only in very remote area of Queensland. However, as it has progressively become more well known in the modern world, its popularity has exploded. With its growing success, the Foxtail Palm has almost become a status symbol. Wodyetia is also prized by landscapers for its thick, robust trunk and neat appearance, especially the arching crown of light green fronds which, as the name suggests, gives the palm's foliage the appearance of a fox's tail as it sways in the breeze. Its wonderful smooth self cleaning trunk is very low maintenance.